My journey about car speakers sizes started about a few years back, when I bought a new car. 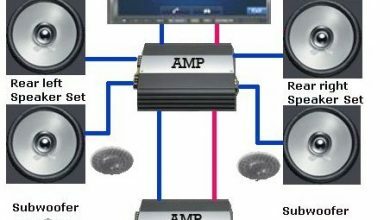 In this article, I will explain in detail about different types of car speakers along with their sizes. In this car speakers size guide, I have added car speaker size chart that mentions everything related to car speaker sizes. Now the market is filled with all the spammy articles and links about “car speaker sizes“, but in reality, they are not providing authentic information. As I told you that I started looking for car speakers when I bought a new car. I was hoping that the factory fitted speakers will bring the best sound quality but I was wrong. I started searching on internet about car speaker size chart or anything that would be helpful but again a big No. Car Speaker Sizes refers to the different available sizes for car speakers. These sizes can be divided into 6×9 car speakers, 6×5 car speakers, 5.25″ car speakers, 6×8 car speakers, 4×6 car speakers, 5×7 car speakers, and 5-inch car speakers. These are all standard speaker sizes and I have explained each in detail in car speakers sizes chart. Every speaker is different when it comes to their sizes and features. You have to select according to your needs and the compatibility with your car. 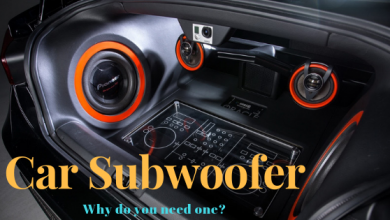 This car speaker sizes guide is dedicated to all those who have just bought a new car or looking to update old speakers, along with added Car Speakers Sizes Chart. Without quality music there is no fun in driving, once you have your favorite track with quality sound, you will not only enjoy the drive but you will be looking for ways to get in your car. Select best-suited speaker sizes for vehicles and enjoy your journey. Now the problem arises that all of us are busy with the hectic daily schedule, and we can not do detailed research before buying the product. The ideal way is to go to the market and access everything in person since that is not possible for the majority of buyers, we at Stereo Authority, decided to give our readers what they were looking for. Let me introduce myself, I am the head of the content writing team that works with technicians at Stereo Authority. Now I decided to write this article myself as I have already done tons of research. 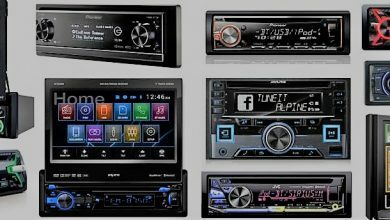 With that all knowledge, I hope that this article will serve the purpose and you will have every detail related to car speaker sizes and car speakers size chart. Now before I go into details of car speaker sizes with the help of this car speakers size guide that includes Car Speakers Sizes Chart. let me explain how these speakers are measured. I have received many emails where buyers are confused about the measurement of the car speakers. Car speaker sizes are actually the measurements of the diameter of the speaker along with other related factors that are mounting panels etc. If you look at the market, there is a wide variety of car speaker sizes, which makes us even more confused. It is always difficult to select the best when it comes to car speakers, all major manufacturers are now into car speakers. Various examples include 6×9″, 6.5″, 5.25″, 5″, 5×7 inches car speakers. This Car Speaker sizes chart will help you understand Car Speaker Sizes. You will not only understand the basic car speaker sizing criteria for car speakers but I have added all the important features of individual car speaker sizes. Also, I have added different features of car speakers like sound quality and bass etc in this car speakers size guide. Now that I have explained all the basic sizes of car speakers, you must be ready to select one for your car. Before going into details, let me ask you, Have you accessed your car? If not go check your car first, you must know what kind of speaker size you want and what about the availability of space and compatibility with your car? I suggest that access the previous fitted speaker and that will give you the idea about the size of a car speaker you need. First thing is to note the area specified for speakers in your car, now after measuring the size, select the best-suited speaker according to that size. You will need to remove the old speakers and replace them with new car speakers. Majority of the factory fitted speakers don’t deliver neat and quality sound, I have seen many fellows who replaced it with custom car speakers within hours of buying a new car. Factory fitted speakers just fill the gap for speakers and don’t deliver up to the mark, these factory fitted speakers normally come with a better efficiency level. But let me tell you that speakers with low efficiency are the real high-end speakers, delivering super quality sound with neat bass. You may need to add an amplifier depending on your requirements, although I have seen a few speakers that don’t really need an amp for quality sound. Refer to car speakers sizes chart for detailed information. 6×9 car speakers are my favorite and the best when it comes to speakers. Now amazingly these 6×9 speakers can almost fit into any car without troubling you. I personally prefer these quality 6×9 speakers over any other speaker sizes. One of the best features of these speakers is that you may not even need an amplifier with these speakers. Not only they will deliver quality sound but with near and powerful bass. 6×9 speakers are available at different prices but let me tell you, these are the best option both financially and mentally. You will only enjoy a better driving experience without any problem of the sound quality. With loud music that is also neat and soothing, you will just enjoy the journey with your favorite tracks. I have already written a detailed article on 6×9 speakers, which will help you decide, that why you should select this quality product. Read about if you want more bass out of your subwoofer. 6.5-inch car speakers not only provide quality sound but these are also famous for being buyers friendly. 6.5-inch car speakers are made for a variety of cars. Just check your car’s compatibility and also the size specified for speakers and you are good to install these 6.5 car speakers. These 6.6 car speakers also pocket-friendly and the majority of budget-conscious buyers prefer this. you can replace the factory fitted car speakers with these 6.5-inch speakers with the confidence that these will definitely will deliver quality. It gets so frustrating if your speakers don’t function well, especially on long routes. Don’t compromise your driving experience and always focus on the better and quality products. Refer to Car Speakers Sizes Chart for details. 5.25-inch car speakers are normally preferred as small door speakers. In fact, they are much smaller than 6×9 speakers which is clear by their name. These 5.25 car speakers can easily be installed in any car since their size is small. Almost all cars are compatible with these small speakers. Now amazingly majority of factory fitted speakers are also 5.25-inch car speakers but I still suggest to upgrade. Reason? They are selling you car not speakers. Why will the car manufacturing company focus on speakers and music? Even going for a high-end 5.25 car speaker, you will be enjoying the quality and powerful music. Since these are a car ready and you just have to buy and install, so there are few issues with 5.25 speakers. Refer to car speakers sizes chart to know which car brands are compatible with these. Learn here about properly mounting the subwoofer box in the trunk. Now again, these quality speakers will amaze you super sound quality. 4×6 speakers are not only durable but they will only deliver quality musical sound. However, it has a conical woofer size that may limit the bass, but I have seen many 4×6 speakers that deliver powerful bass. You just have to select the best quality brand for 4×6 speakers, I have seen many so-called brands who are just selling rubbish in the name of different products. So select wisely and go with a reputed manufacturer. Read here about adjusting stereo for best sound. Now amazingly if you add subwoofers to these 6×6 speakers, it will be like putting oil on the fire. You will just enjoy a powerful and neat bass once you add a subwoofer. I always recommend matching the compatibility of speakers before buying different products for the same purpose. Refer to Car Speakers Sizes Chart for details. Read this guide on car door speakers. As they say, Bigger is the better. These 5×7 car speakers are a bit larger then others we have just mentioned. The only problem is that these 5×7 speakers may not fit in every car. I have already mentioned details of different cars that can match with these sized speakers. Refer to Car Speakers Sizes Chart for details. I have explained here, subwoofer size chart along with features and specifications of different car subwoofers. Read this detailed article on Best 5×7 Speakers 2019. With these beasts of a speaker, you will only expect to have super powerful bass that will not distort at high volumes. If you are fortunate and this speaker matches with your car, just go and buy. 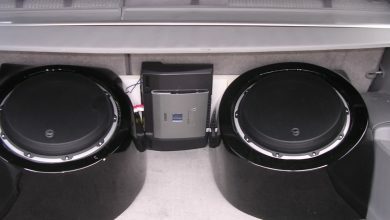 6×8 speakers are mostly installed in the front car door. these 6×8 speakers not only deliver quality sound but come with the best price tag. Price is mostly affordable by the majority of the buyers. Even if you fit them at the front door, you will get better sound with quality bass. The best thing about 6×8 car speakers is that they can fit in the majority of the cars in the market. I selected these for my BMW, 3-series and these worked amazingly good. I suggest referring to car speakers sizes chart for more details. These size 5″ car speakers deliver quality sound and these are featured for mid to a high range, that will just amaze you. If you are looking for speakers that deliver good bass, these should be your choice. These 5-inch car speakers do not need any woofers or tweeters for delivering quality music. With easy to install feature, you will just appreciate the decision of buying these little beasts. I have given all the details of cars that are compatible with different car speakers in this car speakers size guide -car speakers size chart. I hope, after this detailed guide on car speaker sizes and car speaker sizes chart, you will now have a better understanding of car speakers. You should only replace the old speaker with the same sized new speakers. It is not advised to make new holes and tear plastic for new speakers. I always recommend to wear a safety seat belt and follow all local and federal laws when you drive. Feel free to contact me by using the comment section below. Car Amplifiers Buyers Guide 2019.